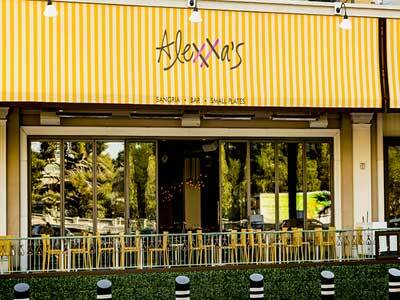 Alexxa’s is sangria bar, a small plates restaurant and a music venue; but it is much more than that. A chill vibe, great food, awesome people watching, live music, sangria flights, punch bowls and a getting-famous brunch are all worth a stop in to see what’s happening. The menu offers hot and cold tapas, flatbreads and desserts. There is a music calendar on the website so you can see who’s performing next. Brought to you by the same chef as at Hexx Kitchen, the menu is sure to be fantastic. Brunch every day until 4 pm.